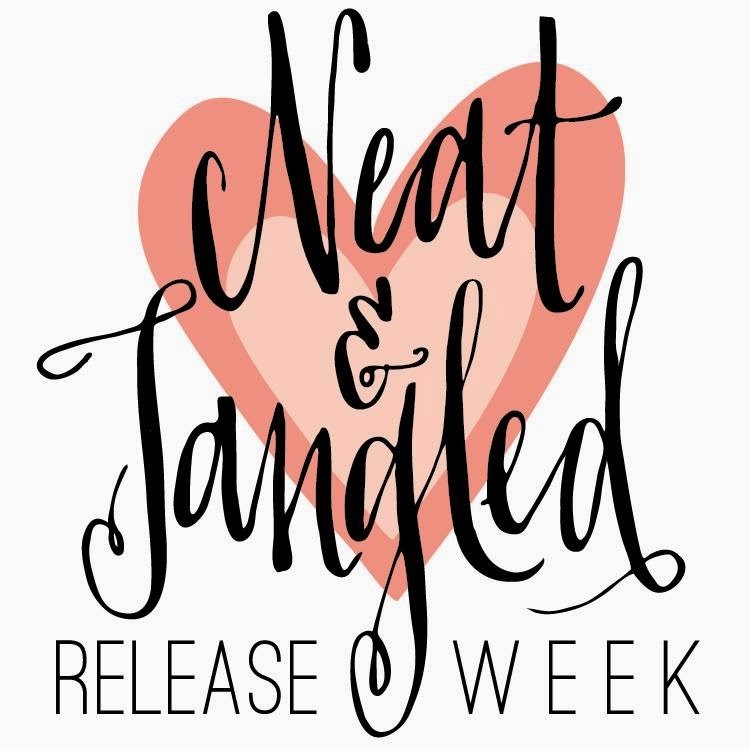 Hello Everyone we are back with Day 2 product reveal from Neat & Tangled. 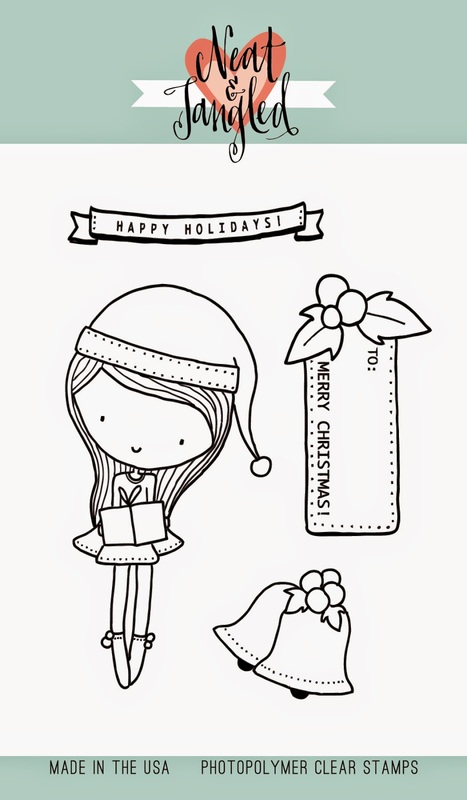 We are showcasing this cute little girl from Little Santa Girl Stamp set, isn't she adorbs? For my project I created a tag with her using the past released stamp set Santa's Tags. I first stamped the tag image from the Santa's Tags stamp set with Versafine ink in black, I also added some dots on the middle of the tag using gray Copic to represent snow. Next, I stamped the little girl from a separate white cardstock then colored her with Copic markers. Next, I fussy cut her image and adhere her on the tag with foam tape for dimension. Next, I stamped the tag image that's include with the girl, but only used the leaves and berries. I also colored the image with Copics, fussy cut and adhere with foam tape on the top corner of the tag. Then, I added some Wink of Stella in Clear on the hat and the present that she's holding. Here's the look when it hits the light. Next, I also added the twine on top of the tag to finish it off. she is sooo cute! and I always love your rich coloring - amazing work, Joni! Love your tag and I love using my clear wink of stella pen on everything. That little Santa Girl is absolutely adorable and I am in love with your sweet tag, Joni! Creative mixing of stamps here. Love the fussy cut image and holly leaves! Sooooooo gorgeous! LOVING the rich colors!!!!!!!!!! So cute...I love that you used that tag and added some "snow" to the background! She is such a pretty gal! So sweet! She is perfect with that big tag and I love how you colored this!